Dive into the deep end, and arrive at a place of Wellness and Healing. Judi Vitale and Jasa Johnson offer light and entertaining discussion about topics that enliven and strengthen the essential part of yourself. From yoga, coaching, and guided meditation to astrology, hypnotherapy and a whole other world of wellness modalities, we will explore the many possible avenues to wholeness and happiness. Expert guests will discuss their specialties and give listeners a chance to ask questions. 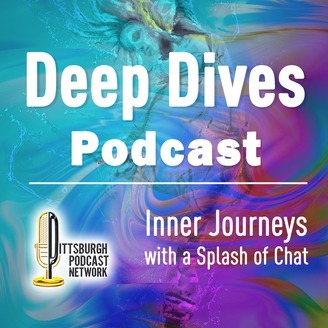 Come along on some deep dives, and discover the very best part of YOU! Judi Vitale is an Empowerment Consultant. As a Transpersonal Life Coach, Advanced Clinical Hypnotherapist, and Consulting Astrologer, she helps you align your body, mind and spirit. Her work with clients and as an author and public speaker focuses on getting people to access their inner wisdom, or as she calls it, The Ultra Self.She is available in person and online. Contact her here or at judi@readthe stars.com Jasa Johnson is a Shamanic Healer and Dream Builder Life Coach. Her insight and ability provide wisdom and enlightenment. A consultation with Jasa is a life-changing experience. She is available as a public speaker and facilitator, and is also working on a book and a set of Oracle cards to complement her work. See more information about Jasa on her website: https://jasajohnson-themysticpriestess.godaddysites.com. In this Podcast, Judi and Jasa explore the possibilities of the different kinds of love. While the one-to-one relationship we think of as “romance” is possibly the thing we think of first when we ponder what it is to share the heart, there are other kinds of connections that give us deep satisfaction and food with which to feed our souls. First we will talk about what “love” means, and invite you to think about what the significance of sharing some part of your life with another might be. Then we can begin to discuss the many places where we can find the connection we seek to others - friends, colleagues, spiritual partners, business partners, family, teachers, students, clients, spouses and significant others, and of course, the Divine Presence, God, a Higher Power, the Universe - or however you define the ultimate source of all that is good within you. Judi: “How to know when you’re feeding your soul the right things.” This will include pointing out when we are substituting some other substance or behavior for love, so it will hit addiction, overworking, codependency, anger, and the like..
Jasa: Love as a "holy longing" for true love, but that can only be found within. Why is it important for each of us to fall in love with ourselves. 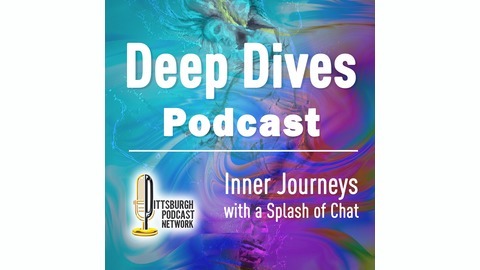 facebook.com/DeepDivesPodcast - and they will answer your question on an upcoming podcast. Come along on some deep dives, and discover the very best part of YOU! To inquire about booking Judi Vitale or Jasa Johnson for personal appearances or speaking, please contact David Sedelmeier at Talent Network, inc.